Letter to Alan from Brian Sutton ex RASC. I have read through your story and although not being a national serviceman, I managed to associate easily with your adventures. My service was always on the home front until the Suez Crisis broke out in 1956. I remember so well being on the dock side ready to embark for Aden. Suffice to say I was yanked off both postings due to me being a member of the swimming squad and as well as the battalion football team. At the time I was stationed at 1st training battalion R.A.S.C. Yeovil and I was there for quite some time. I cannot complain about the grub, because I happened to be the junior NCO in charge of the kitchen general duty hands (usually national service guys) who came on after meals to clean out the mess hall. As a driving instructor of sorts it was our duty to take out the territorials from the billets next door to our camp. If you are familiar with the camp at Yeovil, you would know this happened to be the girls who were doing their training. What a detail this was in the summer months as a fresh batch was turned over every three weeks. There are many more stories I could go into over the tree years I did service in the R.A.S.C. One thing I am certain about is the facts that like you and all who served. The experience and training given in those times has been invaluable ever since. Colonel John Brough DSO. MC. MBE. When, square bashing and training was finished at Fulwood Barracks Preston. I along with my platoon we were sent to Barnard Castle County Durham to join up with the King’s Own Royal Border Regiment. At the time the regiment had just been amalgamated from two famous northern regiments the King’s Own and the Border Regiment hence The King’s Own Royal Border Regiment. At Barnard Castle the regiment was split between two camps (B) (C) and (HQ) Company at Humbleton Camp and (A) and (Support) Company at Westwick Camp. I was sent to Support Company at Westwick. John Brough was born in Carlisle in 1920 where his parents were farmers. He joined the Army and served in the Coldstream Guards before taking a commission in the Border Regiment. He then went on to command a company in Burma. In the Arakan In March 1944 Major Brough commanded (C) Company of the 11th Sikh Regiment part of the 7th Indian Division. On the night of March 6, his company was ordered to capture a strategic hill near Buthidaung in the Kalapanzin valley. The only way to approach the hill was up a narrow track, they came under murderous machine gun fire as they attacked the Japanese positions, which wer held by 40 men well dug in. The leading section was led by Naik Nand Singh who although wounded attacked three trenches and killed all the occupants. His platoon followed up with the rest of the Company and thirty seven of the enemy were killed in taking the position. Nand Singh serving under Major Brough was awarded the Victoria Cross. A few nights later a Japanese platoon had infiltrated the battalion position and moved on to a hill overlooking the main Maunndaw-Buthidaung road. The position was of vital importance and Major Brough was ordered to drive them off. He organised an attack with the support of tanks and directed it himself. The offensive was carried out with great boldness, consequently the hill was retaken and the Japanese positions annihilated. Major Brough who killed six of the enemy himself was awarded an immediate D.S.O. During the month of May 1945 Major Brough now in command of (D) Company, was ordered to attack the entrenched enemy on an organised diversion over 500 yards of open rice fields. Behind a barrage of mortars they took the Japanese by surprise. The Company went in with the bayonet and completely overrun the enemy’s position to take the strong point. Major Brough for his action was awarded an immediate M.C. 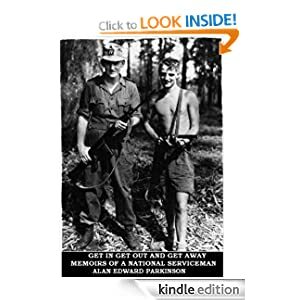 It was in 1960-61 while in the Cameroons West Africa I came off a patrol that had overrun a terrorist camp which I have written about in my book. Major Brough was there to meet the patrol on our return. He told us to gather round him and said “we had done a good job and were a credit to the regiment”. He was appointed an MBE and retired as Colonel in 1969 and died in 2009. All ex-and serving military personnel know what a Dear John letter is and what it means to the individual who receives one. For interested military readers who have not served I will explain. I do not know if the American personnel use the same term Dear John when they refer letters from their girlfriends informing them that their relationships were over. In most cases it was because their girlfriends even though they were engaged to the servicemen, they had found somebody else. Obviously girlfriends, Fiancée’s and in some cases wives were in the prime of their lives and seeing hearing their friends going to pubs and dances etc. They fell for the temptation and that was that, which was very unfortunate for the serviceman especially if he was serving abroad and in most cases they were. It happened to one of the lads in our tent, he read the letter and without saying a word he just nailed the letter to the tent pole for all to see and walked out. The overwhelming majority of British young women who stick by their men in what can only be described for them as upsetting and unsettling times. I can only speak on behalf of the British servicemen both past and present in thanking you one and all for being so brave and loyal. My name is Jim Thomas and my army number was 23772116 I came across your site accidently, while looking for something else entirely. I was in the K.O.R.B. and went to Cameroon as a signaller in HQ Company. At first I was stationed at the Buea camp, and (against all odds) volunteered to go up to Bamenda with some security codes for the radio. On the way I stopped over at the Mamfe camp, for a night, and was well-fed. Then up to Bamenda to deliver my parcel. I travelled in a Landrover with a mate who was also a signaller but could drive. (I had no licence at that time). We stayed one night in Bamenda and I met all my mates from the Signals platoon. Then, off back down to Mamfe, to stay the night again. If I remember rightly you could only travel one way on a certain day, then opposite the day after. Anyhow, while at Mamfe I did a stint on the radio to relieve a mate. So, off back to Mamfe the next day, where I was in with a full corporal Albert xxxxxxx, a private names Mick Hargreaves and two Royal Signallers. We worked the radio in shifts, so it meant that you only worked one day in three, split into mornings and afernoons. Cushy hey! We were kept busy with signals to UK ordering stuff for the RAF to finish off the camp.you obviously were demobbed before me (mine was April 1962) but before hand I was transferred to the Loyals for two days (typical army). Hi – dont forget to follow the blog if you like what you read, I am keeping the blog up to date about weekly so you will not receive lots of mail but hopefully some military stories of interest. There should be a follow button in the right hand corner of your screen. It would be great to have you reading regularly, you will receive an email when I have updated the blog. The British Forces for the over last 50 years has been all regular and are highly trained. In this modern technical age of computers Ordnance and armaments the training has certainly got to be of a high standard. The downside for the British soldier in the war zones, firstly Iraq and now more prominently Afghanistan are the Improvised Exploding Devices (I.E.Ds) The patrols in the bandit areas take longer, because of the care being taken in trying to locate these mines. All this has to be done before the patrol can make contact with the enemy. The damage the IEDs cause if not lethal are horrendous, their comrades in the vicinity are left with mental scars which sometimes can never be healed. In this present day our returning service men and women on returning from Afghanistan get counselling if required and quite rightly so they should. The weekly pay of the serviceman particularly the ground troops who are putting their lives on the line should be in a high bracket. When you see and hear what the present day footballers in the premiership get paid, just for kicking a leather ball about, it makes my blood boil. Also 50 years ago National Service came to an end, 22 years after it was started. It came into being in 1940 when our country was at war with Germany and we were threatened by the jackboot. Many brave men lost their lives on the Land, Sea and Air in achieving victory. When the war ended in 1945 National Service continued and men being called up eventually ended in 1960. The conflicts in the post war years the National Servicemen served in were Palestine, Korea, Malaya, Kenya, Cyprus, Suez, and Oman. There were peace keeping roles in Germany and the Cameroons. Also many men served at the various camps on British soil. Millions of National Servicemen served in the British forces over the 22 years and many men lost their lives in the numerous conflicts serving their country. The wages they received depending where you were serving was in present day money of £1.50p to £2.50p a week. One week you could be in a conflict the next week one could be taking their demob and the following week back in a civilian job. No counselling and no money in the pocket. The ex-National Servicemen are certainly a forgotten breed, let down by successive governments. The youngest that are left, are all in their seventies now and getting less every year. Surely at this late stage in their lives, this indeed brave breed of men should get some form of recognition and compensation for what they did for their country many years ago. Well January turned out to be the best month since launching the book Get In Get Out and Get Away – Memoirs of a National Serviceman. I think the sales of ebook readers are increasing massively so allowing book’s like me a chance to compete with the established publishers. The book has frequently been in the top 50 military history books.